We have all heard how a restaurant business plan is very important for an effective marketing strategy. However, in many cases, this document is still so often underestimated. As Small Business Trends reveals, a restaurant business plan doubles your chances for success. Sounds pretty impressive, does it not? Now you are probably more interested in learning how to actually create a valuable restaurant business plan, bear in mind that it’s a complex document which demands a lot of work and effort. Let’s start with answering the six main questions which you can get familiar with below. 1. 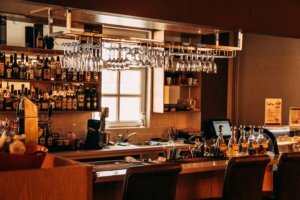 Why should you write a restaurant business plan? see whether your overall idea for a new food business actually has a chance of turning into a real success. The business plan is especially helpful for entrepreneurs who want to open their first restaurant. Sometimes, the vision in our heads may seem flawless. However, after putting the idea down on paper, we are often able to notice some new important aspects which we missed before. Start by describing your vision in a clear, understandable way. It is supposed to be appealing to the bank, investors, managers, and also your friends or family. Of course, you could hire some restaurant marketing specialists to prepare the document for you but keep in mind that no one knows your idea as well as you do. 3. 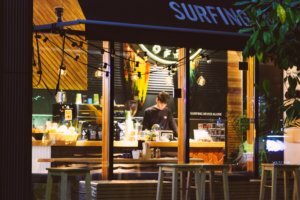 When is the right time to prepare a restaurant business plan? Write this document after you come up with the idea but before you start realizing it. It will let you know what the odds of success really are. Do not give up too easily when something doesn’t go as you would like it – think outside the box instead. Look for unconventional solutions and there will be a good chance that you find them. 4. What should you pay attention to? What is the most important thing when it comes to creating a business plan? Get familiar with the KISS (Keep It Simple Stupid) principle. According to this rule, most systems work best when they are simple rather than too complicated. Make sure that your document is well-organized. To achieve this, remember to include the table of contents and use paragraphs. How often should you update and re-read your restaurant business plan? Your restaurant marketing strategy should be updated after 3, 6, and then 12 months after writing the first draft. Doing this will give you a good opportunity to verify whether previous ideas have worked and include some fresh solutions. Summary (description of your restaurant business idea). Planned employment description (restaurant management specialists, cooks, waiters, etc.). Restaurant marketing plan (include things like a professional website or online food ordering system). Learn more about how to expand these elements in the second article on how to write a business plan: Your whole business plan on one piece of paper. 40 percent of survey responders claim that visiting a restaurant is an important part of their day (source). Offer them a fabulous food experience and they will likely choose your place again for dinner. Remember to have everything well-planned before you engage in the new project. Everything starts with just an idea; however, this idea will not bring you any benefits if you don’t work hard on putting it into a clear and readable format.